As no other ERIKS understands the importance of safety and reliability in the offshore industry. ERIKS offers high quality solutions, services and know-how in order to minimize disruptions and maximize safety of this process. Quality, speed and flexibility are key. Gaskets and packings appear to be one of the simplest sealing components. However, the impact of poor quality, incorrect selection or installation is only realised when your installation begins to leak or worse: fails prematurely and results in mounting repair costs. Prevent this and make an investment in knowledge. As Europe’s leading provider of sealing solutions, ERIKS’ unique mix of technical know-how, an all encompassing product range and specialist services help our customers achieve reliable safe productivity. Our range of products consists of many gaskets and packings fit for use under the often extreme conditions found in the offshore industry such as high pressure applications and high temperature environments. Examples of gaskets that can be applied in these situations are spiral wound gaskets or Ring Type Joints, both known to withstand very high pressures and temperatures. Ring Joints are used primarily in oil and gas exploration. For this industry, ERIKS has a broad and deep selection of R, RX and BX Ring Type Joints in a range of standard and exotic alloy materials. Cathode or galvanized corrosion of flanges or lines can be avoided by using high integrity electrical isolation kits. For this application, ERIKS has Pikotek products for DIN, API and ANSI flanges suitable for low and high pressures. 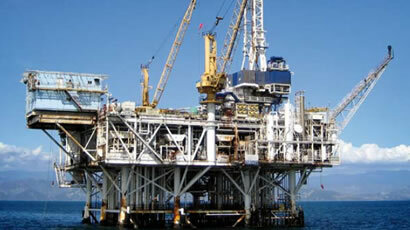 With our RX® HAMAR range we offer solutions for all pump and valve applications in the offshore industry. Eriks offers high quality products with the possibility to supply you with emission sets or pressed rings in the required dimensions. 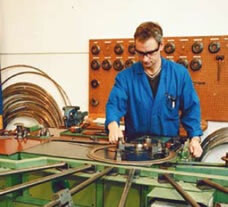 ERIKS endorses the importance of a timely delivery and technically competent service. We have an extensive product range with leading brand names in sealing technology and our private label RX® on stock. This combined with our various production locations for soft- and metallic gaskets enable us to deliver your products in a short period of time, 24 hours a day, 7 days per week. Even products with non standard dimensions have short delivery times because they can be manufactured in our own facilities. When it comes to urgent delivery or quick supply we will not let you down.